(l-r) Lufthansa CEO Carsten Spohr, Air India CMD Rohit Nandan, Air Canada CEO Calin Rovinscu and Star Alliance CEO Mark Schwab. 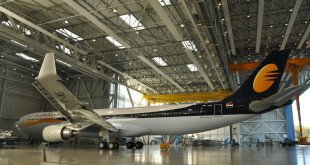 Lufthansa acted as mentor to assist Air India through the Star alliance joining process. Mr Rovinescu chairs the Star Alliance’s Chief Executive Board. While not officially announced, it appears Air India (airline code AI) and Air Canada (airline code AC) have entered in to a code-share agreement to place their airline codes on certain flights of operated by each other. Both the airlines are members of the Star alliance, and reflects for recently joined Air India, the first tangible benefits of joining the global alliance of airlines. The partnership appears to commence on October 2, the birth anniversary of Mahatma Gandhi, the leader of India’s independence struggle. Air India will place its AI airline code on the following routes operated by Air Canada. Trans-Pacific: between Vancouver and Hong Kong, Shanghai Pudong and Tokyo Narita. Trans-Atlantic: between London Heathrow and Toronto, Vancouver, Calgary, Edmonton, Halifax, St. John’s Newfoundland, and between Paris Charles De Gaulle and Montreal and Toronto. Air India operates flights from New Delhi to all the four connecting airports i.e. Hong Kong, Shanghai Pudong, Tokyo Narita and London Heathrow. Air Canada shall place its AC airline code on the following international routes operated by Air India. Between New Delhi and Hong Kong, Milan Malpensa / Rome, Paris Charles De Gaulle, Shanghai Pudong, and Tokyo Narita; and the following domestic routes covering the six major metro cities. Between New Delhi and Bangalore, Chennai, Hyderabad, Kolkata, Mumbai, and Amritsar, and between Mumbai and Bangalore, Chennai, Hyderabad, Kolkata. While Amritsar is not a major metro, it reflects the strength of the Sikh community in Canada. 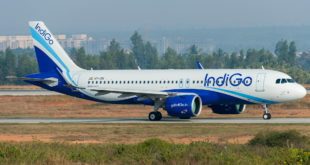 With India being relegated to Category II status by the US Federal Aviation Administration (FAA), Indian carriers cannot commence new flights to the US, nor can US flagged carriers put their airline code on to Indian carriers. Air Canada is using this situation to its benefit. For Air India, with this code-share agreement, it has bridged a vital gap in its network; the trans-Pacific connection to the west coast of North American. 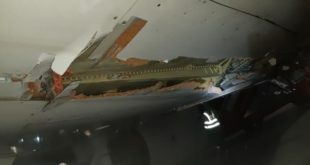 However, with no flights from the south of India, this code-share will not appeal to the IT industry passenger who will need a three stop connection to the US west coast (New Delhi, Tokyo or Shanghai or Hong Kong, and Vancouver). With the Asian carriers like Cathay Pacific, Singapore Airlines, Thai Airways, and Malaysia Airlines, it is either a one or two-stop connection to the major destinations of San Francisco, Los Angeles, Seattle and Portland, Oregon. Air India may want to consider a flight from Bangalore to Tokyo which will leverage not just the burgeoning Japanese investment in and around the city, but carry the lucrative higher-fare paying knowledge industry worker. Similarly, while the trans-Atlantic code-shares will offer connectivity to all the major Canadian destinations, it may not appeal to US bound premium and corporate passengers who will need to make a two stop connection en-route to their destination, and Air India is in desperate need of these higher-fare paying passengers.